Custom cabin insulation for mobile equipment absorbs sound and provides a finished appearance to cabin interiors. 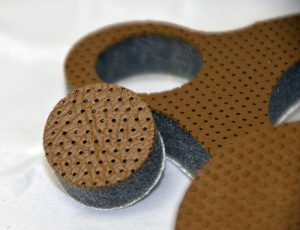 Headliners, door panels, and side panels are made of perforated vinyl foams that, depending on the amount of cabin noise, are typically 1/2” or 1” thick. 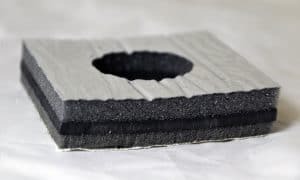 This acoustic insulation can be hand-cut and applied with spray adhesives, but that process is labor-intensive, results in material waste, and raises health and safety concerns. 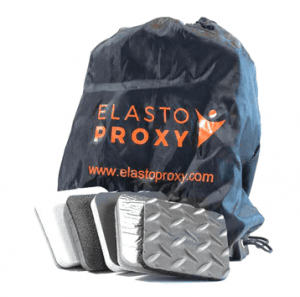 Fortunately, there’s a better way to get the cab insulation that you need. 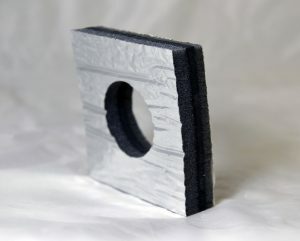 Mobile equipment insulation absorbs sound and deflects heat, helping to keep drivers and operators safe and comfortable. 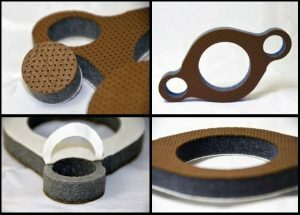 Materials of construction vary, but generally include foams, foils, and facings. 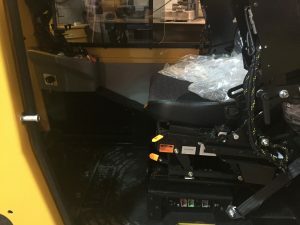 For mobile equipment manufacturers, the process of cutting, assembling, and installing thermal insulation and acoustic insulation can result in material waste and concerns about product quality. Manufacturers risk losing sight of their true costs, and potential buyers may notice imperfections in cab and vehicle interiors.